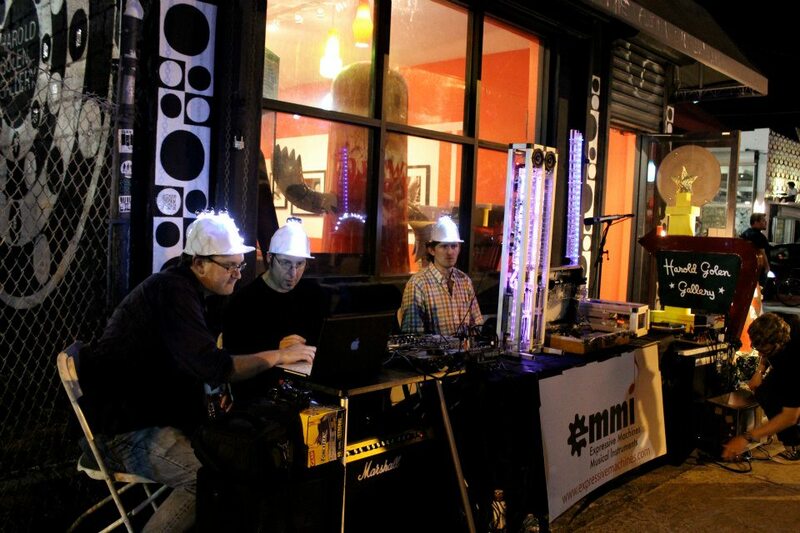 Expressive Machines Musical Instruments (EMMI) is a band of sonic thrill seekers, composers who have turned to the creation of novel robotic musical instruments to achieve their musical vision. 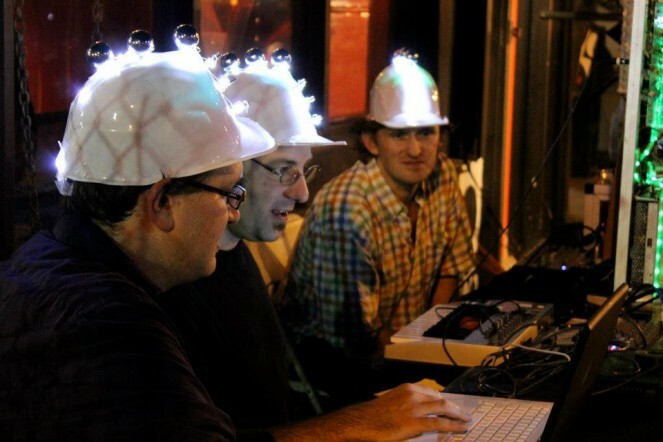 Founded in Charlottesville, Virginia by Troy Rogers, Steven Kemper, and Scott Barton in 2007, the multifaceted organization operates as a composers’ collective, performance troupe, instrument design/development shop, and research group. 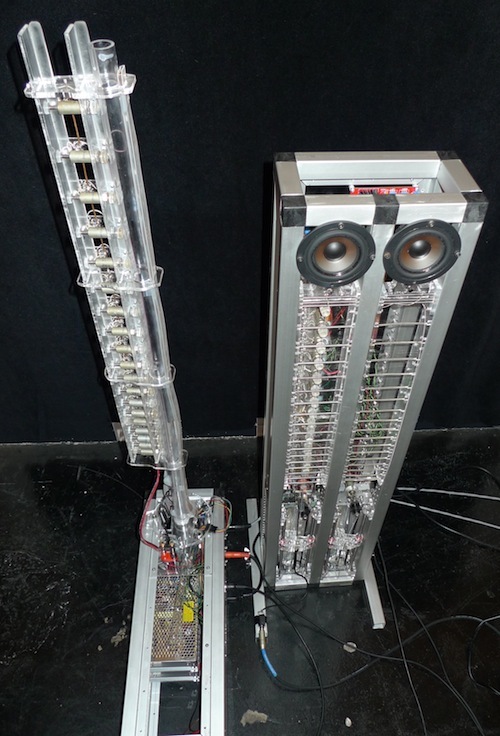 Expressive Machines is currently available for performances, workshops, and commissions for robotic musical instruments, installations, and compositions. 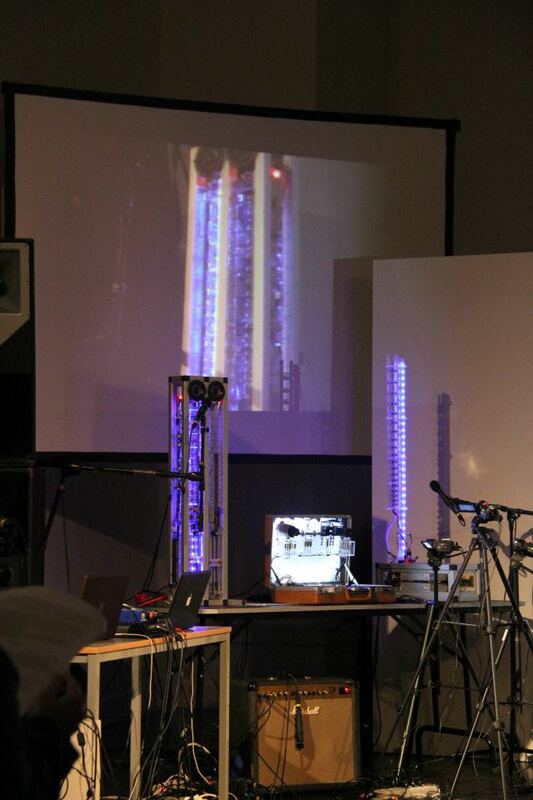 Since its formation, EMMI has created numerous robotic musical instruments including PAM (Poly-tangent Automatic (multi-)Monochord), MADI (Multi-mallet Automatic Drumming Instrument), CADI (Configurable Automatic Drumming Instrument), CARI (Cylindrical Aerophone Robotic Instrument), AMI (Automatic Monochord Instrument), MARIE (Monochord-Aerophone Robotic Instrument Ensemble), and TAPI (Transportable Automatic Percussion Instrument). 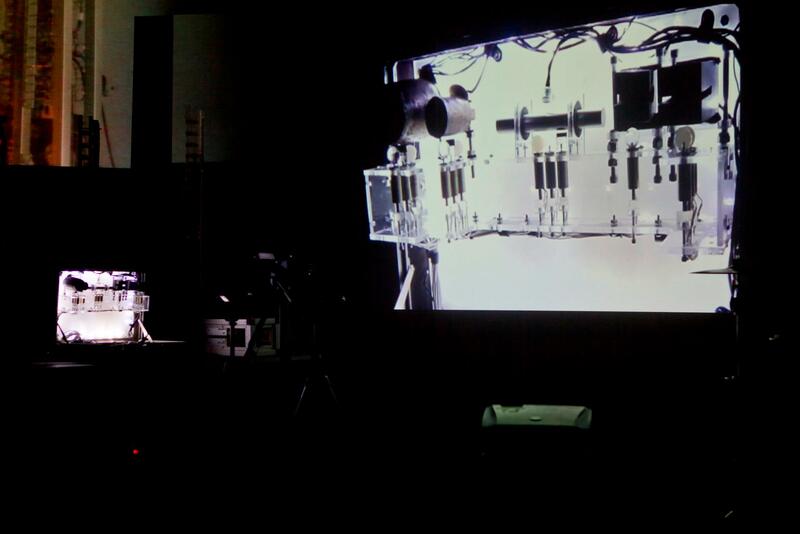 The music composed by EMMI for these robots has been performed throughout North America and Europe at numerous festivals, conferences, clubs, galleries, and other venues. 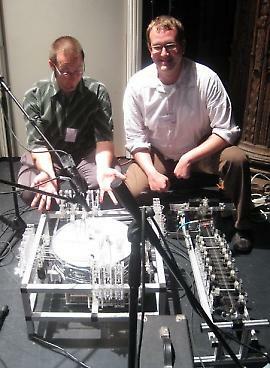 EMMI’s robots have performed composed and improvised works with a multitude of performers, composed by the members of EMMI as well as other composers. To find the latest news on the performances, instruments, music, and activities of EMMI, check out our web site and connect via social media.